I’ve been making this recipe for Tummy Tamer tea for several years now and I always make sure I have a batch in my cupboard, ready to go whenever the Hubs or I have an upset stomach. I grow my own peppermint and spearmint and I love knowing exactly where the herbs I use came from, but storing them can be a challenge. 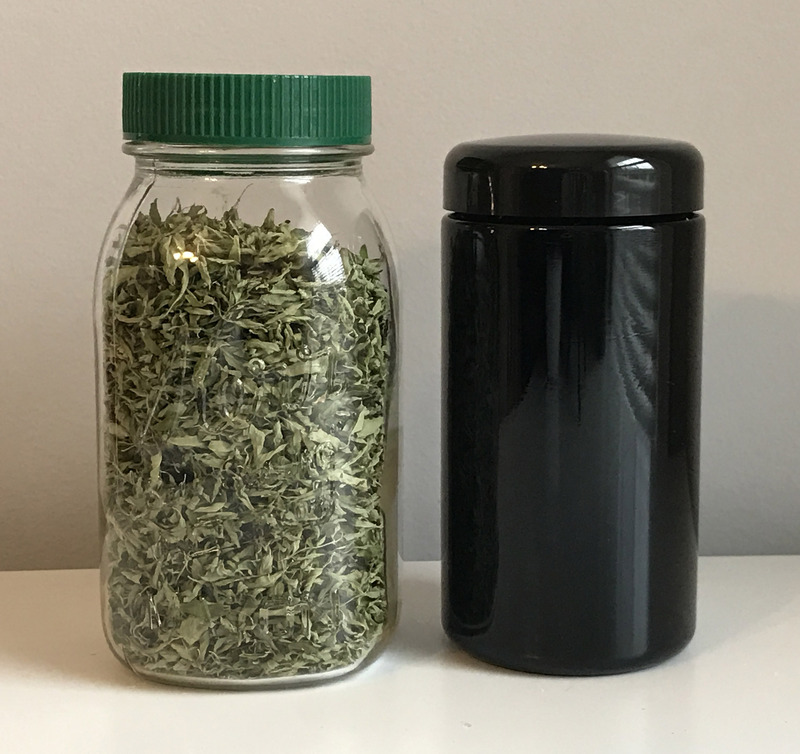 Until now, large mason jars have been my best option and I always keep the herbs stored away from sunlight, but since I harvest the last of the leaves in late summer and usually have enough to last until the next growing season, it’s hard to preserve all that minty goodness for six months or more. So when I heard about Infinity Jars, I was eager to give them a try. Full disclosure: The company sent me containers to try in exchange for writing about my experience, but all opinions are my own. 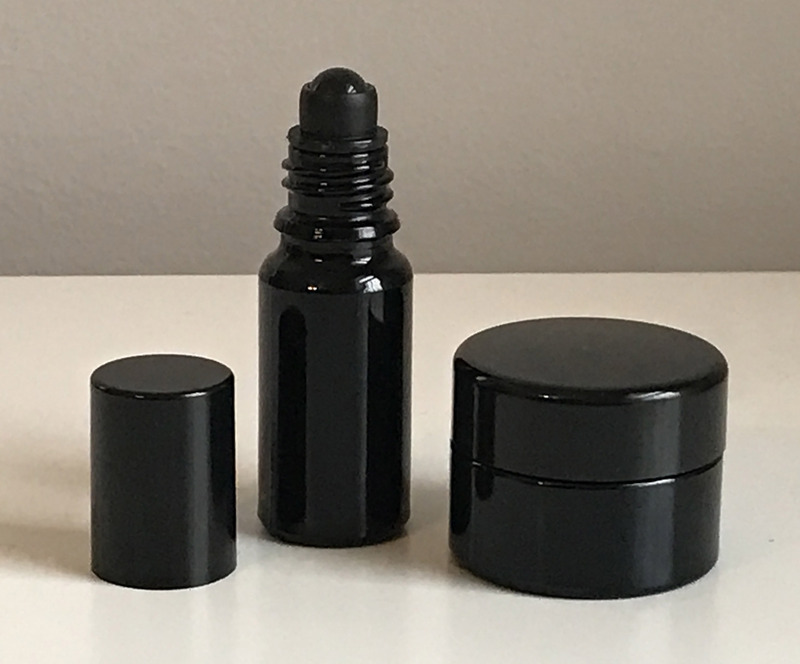 I wanted to try the containers on some of the remedies we use most often, so I chose a small roller bottle, a small wide mouth jar, and a 500 ml screw top wide mouth jar that is the perfect size for a double batch of tea. 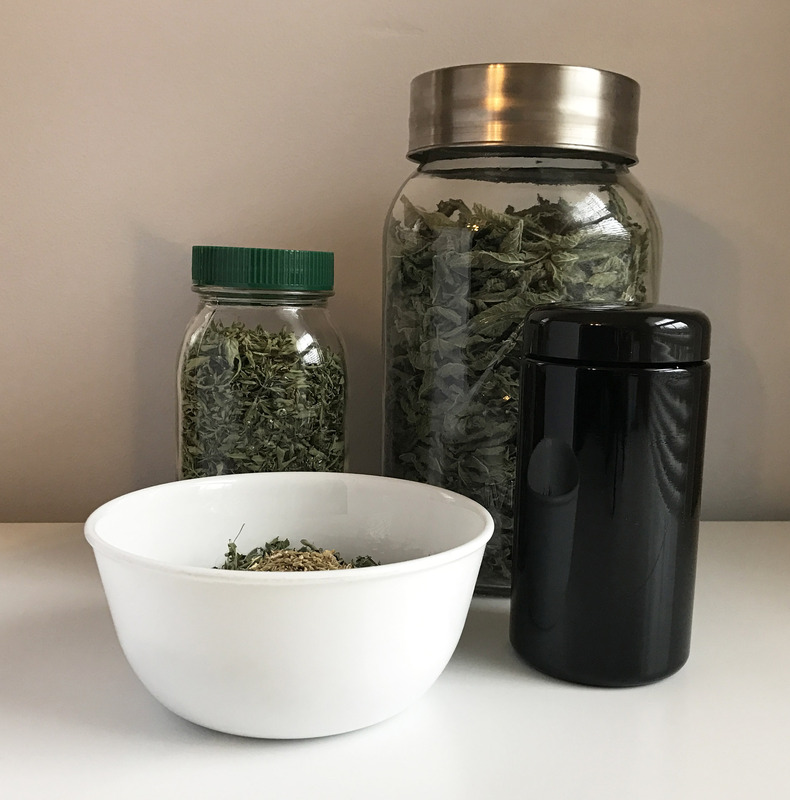 I received the containers about a month ago and waited until now to write about the larger jar because I wanted to see how it performed for storing dried herbs. I mixed up two batches of tea the day I received the containers. I stored one batch in my normal mason jar and one in the Infinity Jar, and left them both in the cupboard for 30 days. When I opened the Infinity Jar, the smell was amazing. 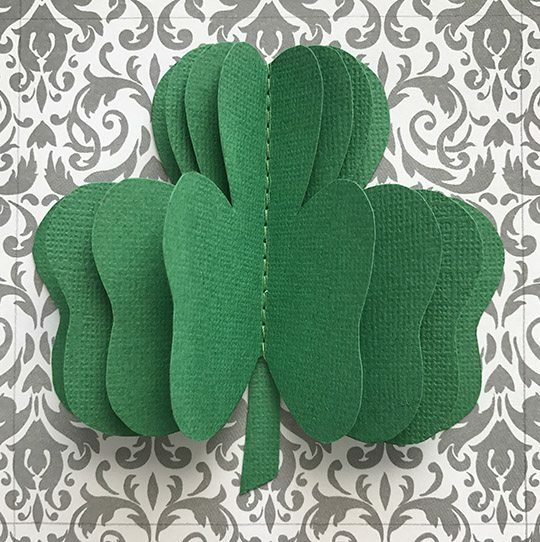 The herbs hadn’t lost any of their aroma, and when I made a pot of tea with them it was the same lovely green I get when I use fresh herbs. I am officially hooked on these jars! They are expensive, but I will definitely use them for longterm storage. Infinity Jars are airtight, block out harmful visible light rays and are laboratory proven to preserve and extend the shelf life of my essential oils and recipes. 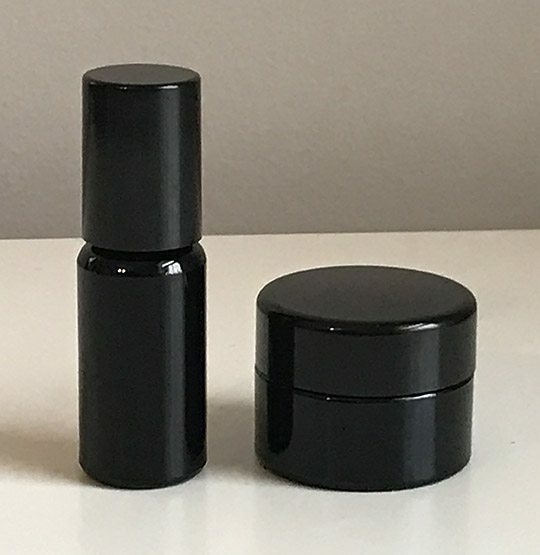 They come in sizes ranging from itty bitty 5 ml jars to a ginourmous 2 liter apothecary jar, and are available in several different styles. 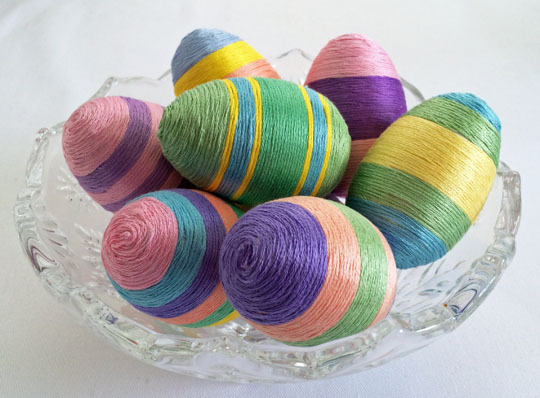 You can find more information about the jars and order online at InfinityJars.com. 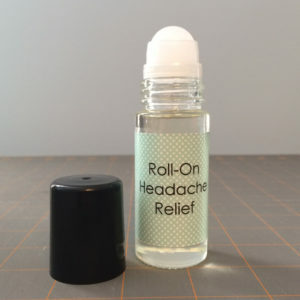 The 10 ml glass roller ball applicator is the perfect size for a Bug Bite Relief Roll-On, and I used the 15 ml glass jar for a lovely healing skin salve. 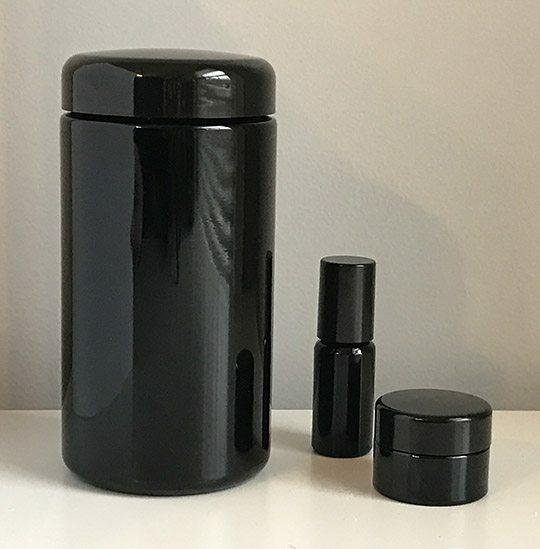 The little jar is so sturdy that I’ve been carrying it around in my bag with no worries, and it’s great to have on hand for paper cuts and day-to-day ouchies. 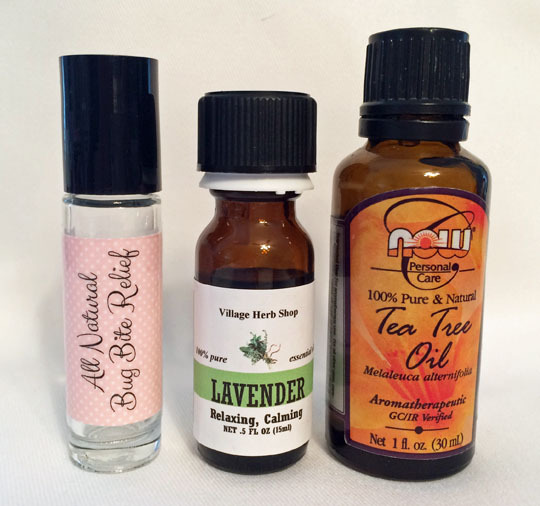 You can find the recipe for the skin salve (and a bit more about the container) in this post.